If it isn’t bad enough that your boss and mother want to be your friend on Facebook, now you have the Taliban out there, too. 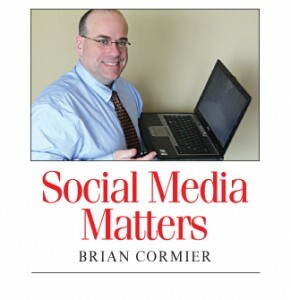 Before it was shut down, the page managed to accumulate a few hundred “likes”. While it’s probable that some of the likes were mistakes or carelessness on users’ parts, many of them were surely legitimate. Unfortunately for everyone, though, the likes were most certainly recorded by authorities monitoring online terrorist activity and anyone who associated themselves with the page by clicking like didn’t do themselves any favours. I can only imagine some poor unsuspecting North American freelance writer who was just looking for a writing gig answering the door to find CSIS or the FBI there. For those who clicked like on the page by mistake, the moral of the story is to be very careful when liking any page set up by obscure organizations. 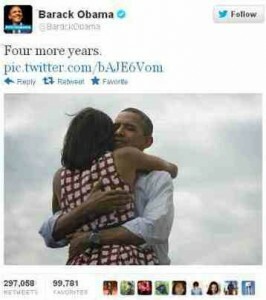 Unless something remarkable happens between now and Dec. 31, the most retweeted post of the year is one by U.S. President Barack Obama, who posted “Four more years” along with a photo of he and his wife Michelle hugging on the night of his re-election in November. According to a Dec. 11 ABC.com article, the post has been retweeted more than 816,000 times. The second most popular retweet according to the article? This one belongs to a Canadian — Justin Bieber. After his beloved six-year-old fan Avalanna Routh passed away from brain cancer in September, his loyal fans retweeted his message of condolence in droves: “RIP Avalanna. i love you”. The most tweets per minute during 2012 occurred on Nov. 6, the day of the U.S. presidential election, when tweets peaked at 327,452 per minute. Other popular tweet-inducing events occurred during the Summer Olympics in London when Jamaican Usain Bolt won the gold medal in the 200-metre sprint (80,000 tweets per minute) and upon the news of the death of singer Whitney Houston (more than 73,000 tweets per minute). 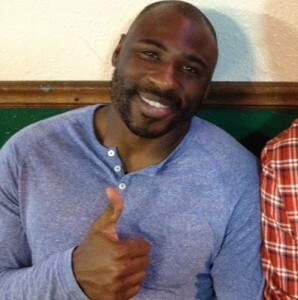 San Francisco 49ers wide receiver Brandon Jacobs has been suspended by the professional football team for the final three weeks of the season for complaining about the team online. Jacobs was unhappy with the way he was being treated. This infuriated fans and management, causing Jacobs to be disciplined. He’s also taken to Twitter to thank his fans for their support and told them that he’d be back. It doesn’t matter how low profile or high profile you are, if you complain about your job publicly online, there will be consequences. Every week, I feature YouTube channels for you to check out. Statistics are current to Dec. 11. Have a favourite YouTube channel? Let me know and I may feature it here. 1) NBA (1,090,389 subscribers): Americans love many sports, especially football, baseball and basketball. In fact, the National Basketball Association (NBA) announced this week that its seven-year-old YouTube channel reached an incredible landmark: one billion total views! ← Christmas Countdown 2012: 10 days!